Frequently we are asked to conduct senior-level retained executive search assignments using Performance-based Hiring. This is a great way to introduce the executive team to the benefits of this approach. In addition to presenting top-tier candidates, we also prepare a performance profile with the hiring team, and lead panel interviews and formal debriefing sessions. Collectively, this ensures that all hiring team members are fully aware of critical job needs and the use of an evidence-based assessment process. Many companies want to use the Performance-based Hiring process for their critical positions, even though they might use their in-house recruiting department or an outside search firm to conduct the actual search. In these cases we often train or provide hands-on support to the managers and recruiters involved. The degree of support depends on the depth of skills of the team involved and the resources available. Clearly defining job needs is an essential aspect of hiring the right person. As part of our standard search process we always prepare a performance profile with the hiring team to obtain complete understanding and agreement. We are in a position to prepare these even when we don’t conduct the search. Regardless of the search firm selected, it’s important that everyone involved in the hiring process understands real job needs, including the candidate. We are often asked to use just online techniques to find qualified candidates. The fee for this is lower, but there is no guarantee that a strong candidate can be found this way. Regardless, the eSearch is a good alternative first step. In a typical search we use all types of techniques for sourcing active and passive candidates including direct marketing, networking, niche board advertising, name generation, and direct sourcing. In a typical search we personally interview each candidate, prepare a Quality of Hire Talent Scorecard, lead panel interviews, conduct reference checks, and conduct a formal debriefing process. Companies often ask us to lead this process for their final candidates, even when we don’t conduct the overall search process. Contact us if you’re interested in discussing any of these search and support activities. As part of this we are happy to prepare a preliminary complimentary performance profile for the position. 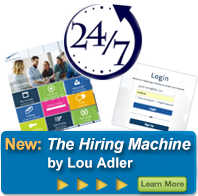 We have found this is a great way to get the recruiter and hiring team on the same page, as well as demonstrate the value of Performance-based Hiring.